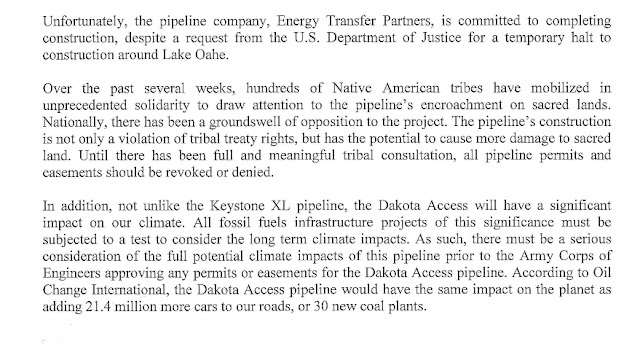 The Dakota Access pipeline currently hangs in a state of uncertainty. On October 9, a federal appeals court dismissed the Standing Rock Sioux tribe's request for a permanent injunction to stop to the project. 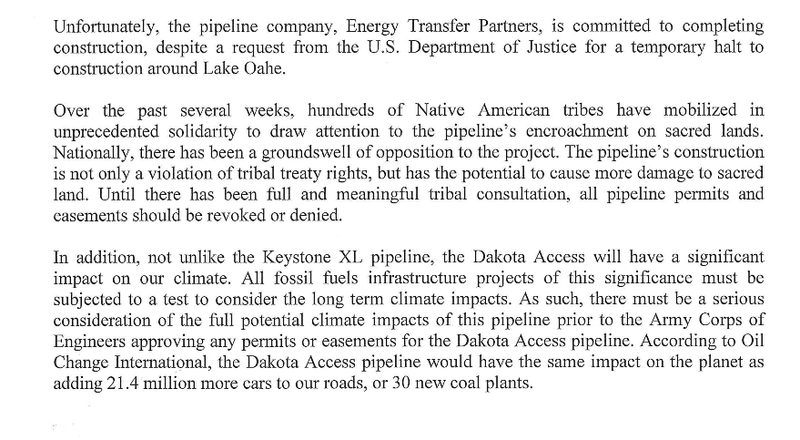 Meanwhile, Obama administration officials continue to stall; one day after the court ruling, the departments of Justice, Interior, and the Army issued a joint statement refusing to authorize construction along part of the proposed route. 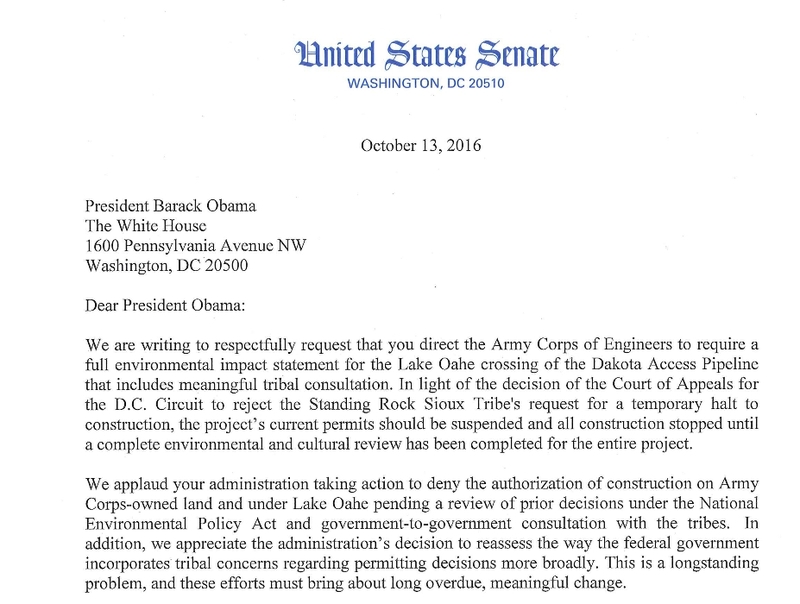 And while a federal review of the permitting process began this week, a handful of Senate Democrats, led by Vermont Sen.
Bernie Sanders, have now penned a letter to President Barack Obama, calling on him to suspend all construction permits for the project and to order a full environmental impact statement. The Obama administration recently announced that “construction of the pipeline on Army Corps land bordering or under Lake Oahe will not go forward at this time." 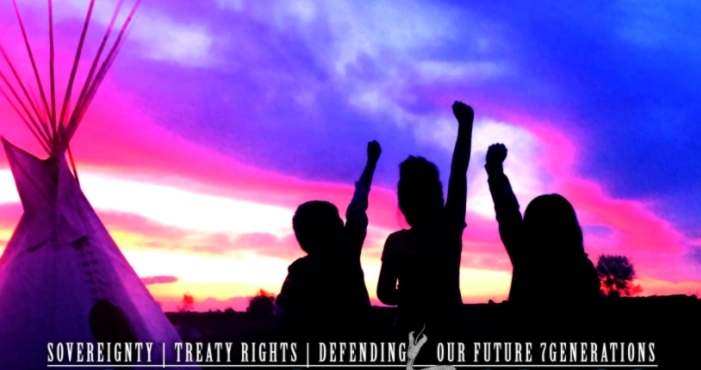 And thousands of people have rallied across the country to oppose the pipeline. The Dakota Access pipeline would carry 450,000 barrels of dirty oil per day from North Dakota to Illinois and cut through fragile wildlife habitat, environmentally sensitive areas, and sovereign tribal property. Worse, the pipeline would cross under the Missouri River, threatening drinking water downstream if a catastrophic oil spill occurs. 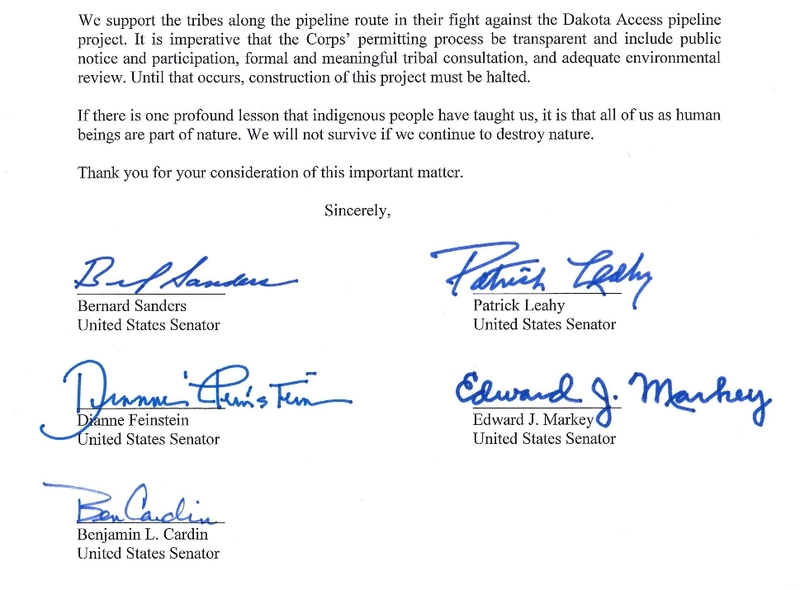 Responses to "Bernie Sanders asked President Obama to stop the Dakota Access Pipeline"